From salon-inspired fashions, to your classic favorites, Estetica Designs are devoted to meeting the beauty needs to today's modern woman. 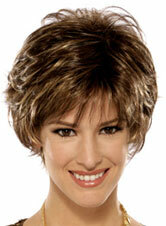 Natural feeling, synthetic fibers, or 100% human hair wigs. Enjoy Estetica Designs latest technology "The Pure Stretch Cap." Our new cap stretches throughout the entire perimeter, insuring you the most comfortable fit ever. Eliminating the pressure points, you will forget that you are wearing a wig. 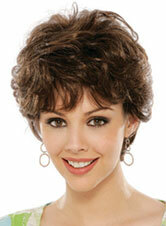 Monofilament Wigs by Estetica Designs is a collection of superior quality monofilament and 100% hand tied wigs. The design and craftsmanship is performed by the finest makers in the industry... resulting in light, precise fit for comfort and natural looking style. From 100% hand made, the quality design and craftsmanship are the finest available. The result is soft, silky manageable hair with the most natural and comfortable fit imaginable.